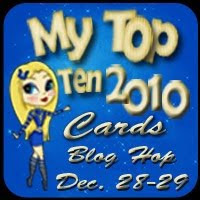 At the Manic World of Mrs. Weyremester, there is a blog hop on Dec. 28 and Dec. 29, to feature your favorite cards of 2010! She asks that bloggers share 10 of their favorite projects created in 2010. What a fun way to showcase some things you have made this year! You don't have to create anything new...just select ten that you like and post them. Here are my ten cards. They are not necessarily my favorite of faves, but what I could find and post quickly (in no particular order)! Hope you like them! Be sure to leave me a comment telling me which is YOUR favorite! May we always be inspired, by its wonder and by its glory! And joy that fills your home today and every day! Wishing you a glorious Christmas! Hello! The Riverfront Times, a popular St. Louis Magazine, is doing a best of the web kind of thing for 2010. Users can vote as many times as they would like. Can I possbily get you to rally and put some votes in for DD for Best Personal Blog today? Voting closes today, and again, you can vote as many times as you would like to!!! She fits in category #3 and #6! Welcome to another Sunday Challenge for Stampin' Sisters in Christ! I am certain that you all have your cleaning, baking, shopping, and gift wrapping finished, and are only waiting now for the arrival of, or to the homes of, your loved ones! Good for you - great job! Peggysue is our wonderful hostess for today's challenge! Be sure to read Peggysue's thoughts on this verse on the Stampin' Sisters in Christ blog, as well as on Peggysue's blog. Peggysue's challenge for us this week is to create a card using inchies. What a perfect and fitting challenge for this scripture! Our sponsor this week is Our Daily Bread Designs. Some lucky participant will win a $15.00 gift card to shop at Our Daily Bread Designs. We appreciate their continued support, and can't wait to see your beautiful creations! This stamp set is called Snowman Nativity, and is a set that is carried by The Angel Company. I took the liberty of making a slightly larger card, with 1.5 size squares so that I could work with the sentiments in this set. The three sentiment pieces, and the main image are all popped up with dimensional dots, while the other squares are adhered directly to the card. Thanks so much for stopping by! Please check out the Stampin' Sisters in Christ blog, where you can read Peggysue's beautiful words of wisdom, and see the gorgeous creations of my DT sisters! I've been 'peeking' this week as they post to our group site, and I can guarantee you won't be disappointed! Have a great week - stay safe, and stay warm! It's very quiet in blogland today - hope that means you are all finishing up some shopping, baking, wrapping, etc.! I had an order this week for something very quick for some staff mailboxes. Of course, being iced in, I didn't have 30 matching anythings to hold items. After a bit of thought, here is what I came up with! Using envelopes, I sealed them, cut off one end with a scallopped cutter blade, and used up a LOT of Christmas scraps! The cute little snowman is by Stampendous, and I reach for him a lot! Coloring is with Tombows and a glitter pen. The little 'stir sticks' came from our Aldi store. The rest is computer generated! I can't remember where I got either saying. The one ON the inside came from someplace on SCS, I believe. and the thanks for a great idea!!! All righty, thanks for stopping by! I'm off to bake some cookies! Hugs and smiles - Patti J.
Laura always has such great ideas!!! Take a few minutes to check this out!!! Oh my, it's really sneaking up on us quickly! I thought I would sit down this morning and make a few cards, as who knows what I will have time for next week! This first card is another set of stamps that I got at Collinsville in April, that I honestly TOTALLY forgot I had! This beautiful scene is from Heartfelt Creations. The window was stamped, then stamped again to create a mask. The scene was stamped, the mask removed, and all coloring except for the door and chimney were done with pencils and LOMS. The door and chimney were colored with Tombow markers. The snow is white fun flock. Sentiment is from Great Impressions. This little cutie is a free pre-colored (yup! free AND pre-colored) image and sentiment set from Clear Dollar Stamps, designed by Laurie Wilson. Totally easy peasy! Print, (I printed a second time to paper piece the hat, nose, and vest), touch up the snow with a glitter pen, and add a few butterflies! Voila - 10 min. card (half of that was spent fighting with my printer)! WARNING! If you own sunglasses, or maybe horse blinders, this would be a wonderful time to put them on. Really. Would I lie to you? This card was created with one of those teensy clear stamps that Joanne's Crafts carries. Too cute! I actually got 6 of these, as each section is paperpieced by stamping the tree over and over on 6 different colors of CS. Sentiment is Northwoods. Another easy peasy mass production! Thanks so much for stopping by. I hope that you and yours are enjoying the beauty of this season! Check out the new poll on the sidebar! Good morning! My post today is for no challenge...imagine that! I was just playing with vellum the other day, and decided to try out a Sweet Stamps image that I'd purchased at the stamp show in Collinsville in April, and never inked up! Next April, I am going to be much more disciplined about what comes home with me...lol!!! There is a little battery operated candle inside a glass votive tucked inside this vellum wrap. After working with the second photo, I realized two things. I should have used a lighter colored background, and I should have used a taller votive holder, as you can see the line perfectly at the top of the holder! Oh well, it was an experiment, and it was fun, and it looks a lot prettier in real life! Next, I show you "The Boss". Really. She is! She is spoiled so much more than our kids ever hoped to be! We bought her a bed, and we are really trying to teach her to lay in it, but she prefers the couch and chair! So... our nice, soft, comfy family room is always covered in towels, throws, etc. Anyway, the "Boss" is shown here with her favorite 'used to be stuffed' animal. I am going to BEGIN Christmas shopping! I haven't even left yet, and I am already looking forward to that hot cocoa when I get home! As it is Sunday, I'd like to welcome you to a new challenge at Stampin' Sisters in Christ! I am your hostess for the challenge this week! For my scripture, I have chosen Ephesians 4:20 NLT: "Let everything you say be good and helpful, so that your words will be an encouragement to those who hear them." Your challenge this week is: "A Way with Words". Create a card or project that will compliment, encourage, or cheer someone in need of uplifting. Our sponsor this week is Simon Says Stamp. We appreciate their support! Here is my card. It features a darling Anya image, that you can find at Simon Says Stamp, here. How often have you left your house in a wonderful frame of mind, singing or whistling on your way to run errands, only to have your mood shattered by a grumpy sales clerk or bank teller? We make such an impact on others, not only by what we say, but by our body language and attitude, as well. We can be a blessing to someone that is having a bad day, or we can ruin someone's good day with one simple exchange of words. "Let everything you say be good and helpful". Speak uplifting words, give your undivided attention to, and fully listen to someone in need. If you work at a bank, your job may be to make monetary transcations, but you have the power to change the momentum of someone's day by simply telling them how pretty their hair looks, or just smiling and wishing them well. "So that your words will be an encouragement to those who hear them". You might be the reason that someone holds their head a little higher, and feels a little more special the rest of the day. So, this week, make that extra effort to be compassionate. Remember that the holidays can be a time of stress, and often a lonely and difficult time for many. Reach out to others in Jesus' name, listen to their needs, and let everything you say be good, helpful, and encouraging. We would LOVE to see your cards this week! Please see the work of my wonderful DT sisters, and enter your beautiful creations, at Stampin' Sisters in Christ Challenge Blog. You could become a Shining Star, and might even win the generous prize from Simon Says Stamp! Hugs and blessings to you - have a wonderful week! Green, Red, and White Delight! Good morning, and happy Saturday! As it is Saturday, it's time for another Saturday challenge at Shannon's Sentiments! The challenge this week is to use the colors red, green, and white...that's it! Now, I know that you are all playing with these colors quite regularly these days, so hop on over to this weeks challenge, and enter one of your holiday cards! If you have any of Shannon's images, we would be delighted for you to use them. If not, just use what you have! Here is my card. I took the liberty of borrowing Danni's sketch that we used in November at Flutter By Wednesday's. Danni, if you are reading, I didn't think you'd mind, and I just loved the sketch! How true, how true! It's funny how chilly 68-70 degrees feels in the winter, but how comfortable it feels in the summer! Have a wonderful weekend, and let's see some red, green, and white cards! There were no entries last week, so you stand a really, REALLY good chance of winning the monthly prize! hooray for blessings like that! I have a quick and easy card for you today. This card is for Glitterbabe's Challenge. The challenge this week is no Christmas colors, so I used an Angel Company sentiment, one of Stef's images, and pink and blue, with a touch of black. Stef, if you are reading, I wish you could see the snow people in real life - girl, they bling like crazy! Sigh....somehow, the sucky photographer, who shall remain nameless (lol) didn't get the sparklies to show....or the snowpeople's beautiful BLUE eyes! Oh well, life is good anyway! Hope that you are all having a wonderful Friday! I'll be back tomorrow with a new GDT card for the challenge at Shannon's Sentiments, and again on Sunday with the Stampin' Sisters in Christ Challenge (I'm the hostess this week!). I'm off and away to see what you have been up to! In addition to her writing for several publications, public speaking, and published photography, Melissa is an avid blogger. Her blog has recently been twice syndicated. Melissa is working on expanding her blog audience, and developing good relationships with potential product sponsors. She is wanting very much to take her blog from where it is today, to where she knows it can be. This is why she is wanting to attend BlissDom, "the premiere conference for women who find and express their bliss by publishing online". BlissDom will be held in Nashville, Tn., January 26-28, 2011. Her conference fees will be approximately $450. Add to that travel, food, and hotel costs, and it will become quickly more expensive than her non-profit salary can support. She has posted on her blog, and I thought I'd post here for her today, a call for sponsors to help her attend BlissDom. me, and I'll be happy to hook you up with her! I have a 'repeat' card for you today. This was for a challenge a while back that called for a photo to be used. I used a photo that our dear daughter took while looking up at the Gateway Arch, in St. Louis, Mo., one cloudy day. It seemed perfect for the "I miss you" sentiment. DD, Melissa, is a wonderful photographer. In my humble opinion, she can take a photo of the head of a pin, and make it look like art. I thought this photo only fitting for today's post. December 8, 1999, was one of the roughest days that I can ever remember. After a very terrible and lengthy battle with cancer, my sister and I lost our dear mother, and our children lost a very special grandmother. I think that we all knew on Thanksgiving that year, that our time with her was very limited, and I also think that was when our prayers began to change. I think, as with any horrible illness, one's prayers change from hoping this treatment, or that treatment will work to add quality and quantity of life, to knowing that they won't, and praying that your loved one's suffering will soon end, and they will be called home. In our case, our latter prayers were answered at 8:30 a.m., on this day 11 years ago. We miss you, mom! I am not posting this story to bring anyone down today, but to share with you all something that I received in the mail at Christmas in 1999. Although it brought a tear or two, it was such a bright spot in my day that I wanted to share it with you. Perhaps it will help one of you that may be going through a tough time this Christmas. with tiny lights, like Heaven's stars reflecting on the snow. The sight is so spectacular, please wipe away your tear. For I am spending Christmas, with Jesus Christ this year. but the sounds of music can't compare with the Christmas choir here. for it is beyond description, to hear an angel sing. but I am spending Christmas with Jesus Christ this year, not apart. I can't tell you of the splendor, or the peace here in this place. Can you just imagine Christmas with our Savior, face to face? so pray one for another, as you lift your eyes up above. for I'm spending Christmas in Heaven, and I'm walking with the King. I hope your day is delightful! It's still very cold here, but thankfully, no snow or ice yet! Hugs and blessings to all...Patti J.
Brrr.....and Auntie Em, where are you? Auntie Em, where are you??? You won my itsy bitsy blog candy, and I need you to email me so I can get your itsy bitsy prize in the mail! When I left at 9:45 this morning for a Dr. appt., it was 19 degrees. A while ago, it had climbed to 22 degrees. Brrr......calgon - take me away! Hope it's warmer where you are! My card today is for a challenge at Joan's Gardens. You should totally go check it out - there is a great prize this week. Dig out those Heartfelt Creations stamps, and create something! Hopefully you are having a good week so far. Don't forget to hurry over and enter the "Create a Scene" challenge at Shannon's Sentiments! There were no entries when I last looked, so your chance of winning is pretty good! See my card here! I had just stamped this sweet image (Recollections from Michael's) to use for the Flutter by Wednesday challenge, so I decided to go ahead and use it for the Mojo challenge too. I love it when things work out that way. It's not my favorite card, but perhaps it will make someone smile. Coloring was done with Copics, Spica Glitter Pens, and sponging was with a Marvy Bubble Gum Pink ink. Hope that you have a delightful week! Clear Dollar Stamps is our sponsor this week, and we thank them for their support! Rebekka's challenge is a color challenge: white with a splash of red. For my card, I have used an image from Clear Dollar Stamps, created by Kim Teasdale. Coloring is done with Copics and Starburst Clear Glitter Pen. I used some Glossy Accents for the dripping wax, and the candle holder base, and a Stampin' Up embossing folder for the background, embellised with a few Kaiser Craft Pearls. So happy that you stopped by! Be sure to head over to the Stampin' Sisters in Christ blog to see what the other DT sisters have created - there are some beautiful projects to behold! Rebekka has some wonderful words to share about this weeks scripture as well! We'd love to see your creations! Someone will win a $15 gift certificate to spend at Clear Dollar Stamps! It could be you!!! Hello! Thank you all so much for your help with printer issues. I will probably not purchase anything until I try some of the suggestions you all had! The winner of my itty bitty blog candy is Aunti Em! Auntie Em, please email me (mamagilliam at gmail dot com) and give me your mailing address! Hope you all had a great Saturday! I spent the day today with DD. We met in a town about 40 min. away for a Christmas House Tour. It was a lot of fun. We saw beautiful homes, beautiful decorations, had lunch at a quaint, beautiful place in the 'french quarter', and then shopped until we literally dropped. Well, at least the eldest of us dropped! We did a home tour last year too, and have decided to pick a different city each year and make it a tradition. Speaking of Christmas houses, look at the one in my card below. I'm a guest designer this month for Shannon's Sentiments, and this is one of Shannon's fabulous images. The snowpeople are from another set. It's the same snowman, I've just taken the liberty of flipping it and blinging it up a bit to make a snowgal and a snowguy! This card is for Shannon's fourth DT challenge. Each Saturday, one of the DT members issues a challenge theme. Cindy was the challenge hostess this week, and asked us to create a scene. Hope you like this shadowbox scene! Advice needed....itsy bitsy candy involved! Since you are the smartest audience in the world... I need some advice! 1. No matter what CS I use, or what I do to prepare it, my ink smears when I try to color. I've tried heat setting, etc. 2. I am SO SO SO tired of my printer jamming when I try to run CS through it. So, my two issues are listed above! I am going to go tomorrow to buy a new printer. I would love some insight from all of you who print digi images. What type of printers do all of you have that 1. don't jam, and 2. don't smear...??? Please help me find the right printer, because we all know that 'if mama ain't happy, ain't nobody happy'!!! Hugs, and blessings to all - it's almost a weekend! P.S. Be sure to take part in my poll at the top of my sidebar! Happy Wednesday, and Happy December! 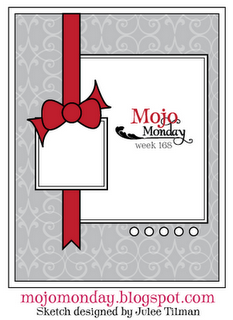 A few weeks ago, Shannon from Shannons Sentiments invited me to be her guest designer for the month of December. Of course, I said yes! I love Shannon's images and sentiments, and was very excited to work with them. 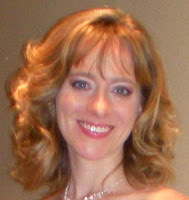 To showcase Shannon's new releases, today, we are having a Sentiments Blog Hop! You should have arrived here from Cindy Groh's blog. If you started here, you can return to the Sentiments Storefront to start the hop - you don't want to miss a thing! After you finish the hop, be sure to check out the store! Shannon is offering a 20% discount that is good until December 8th. The code for the special is: SSDEC2Special20. Next up on the hop is Shannon Hawkins! The set that I chose to work with is Shannon's new Ornaments images. I could not decide on one image, so I created an A2 card box, and four cards using several images in the set. I paper pieced and cut out a few ornaments, folded them in half, and adhered them to each other for a 3-D ornament. The edges were gold Stickled. For this card, I stamped and heat embossed in white, some snowflakes and a sentiment. I used a Versamark Pen and also heat embossed the ornament with white. Next, I sponged with some blue chalk ink, and used a silver Spica Glitter Pen for details. This ornament was colored with pencils and LOMS. The top section was a cuttlebug snowflake folder, and the ornament was embellished with black Stickles. Red, gold, and green stickles were used to adorn these ornaments. The strip on the right is Martha Stewart tape on a roll. This last card was colored with Spica blue and green glitter pens, and embellished with silver stickles. A gemstone was added to the center of each snowflake. Here is the box with the lid off. Please proceed to Shannon's blog!